Former Detroit Piston Earl Cureton assisted Detroiters in need load bikes into their van. Alicia Blakely was a part of the group of 1,500 workers last month that found out they would not have a job at the General Motors Detroit-Hamtramck Assembly Plant when it closes. That will not happen until the end of 2019, but she wanted to plan ahead on her savings and did not know where Christmas would come from for her three children. 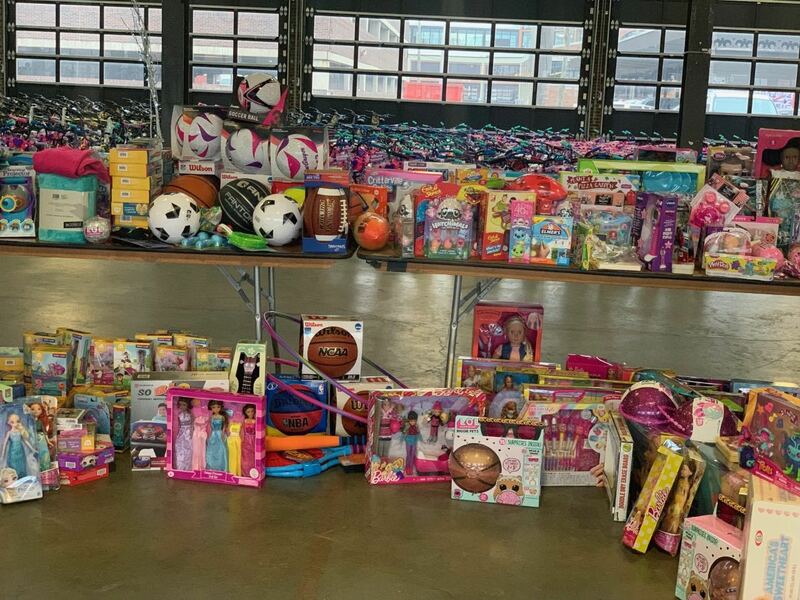 But thanks to a generous donation from Detroit Pistons owner Tom Gores, approximately 10,000 toys, bicycles, and helmets were distributed to families in Detroit, Flint, Saginaw, Bay City, and surrounding neighborhoods served by Marines and volunteers of the Marine Corps Reserve Toys for Tots Program. Hatcher was able to pick-up two bikes for her sons, and a doll for her daughter at Shed 5 in Historic Eastern Market Thursday morning, assuring a nice Christmas for her children. 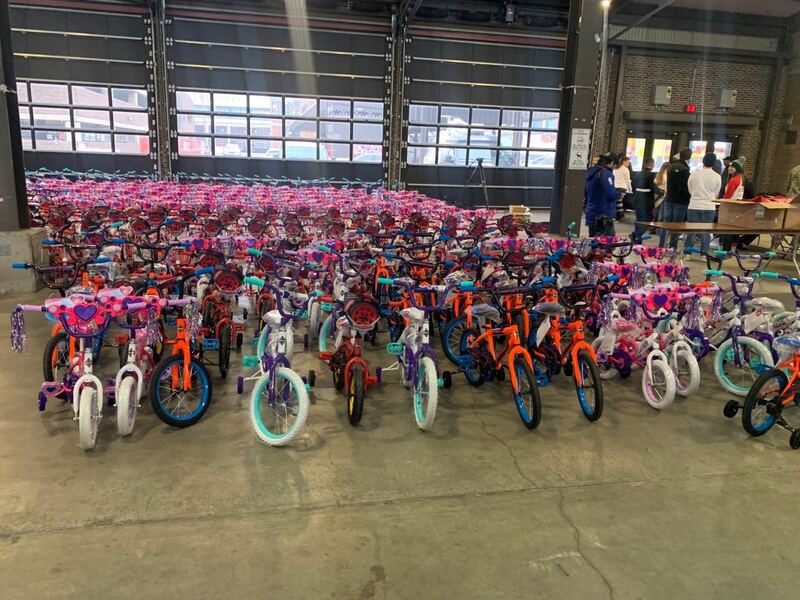 Approximately 10,000 toys, bicycles, and helmets were distributed to families in Detroit, Flint, Saginaw, Bay City, and surrounding neighborhoods. Gores and his wife Holly support a number of Detroit-area causes focused on improving the quality of life for families in need and contributing to the revitalization of the region and the state. They both grew up in the area and have quietly supported holiday toy distributions across Michigan since 2006 and have delivered over 100,000 gifts to families. The Gores family’s partnership with Toys for Tots began in 2009 and has delivered over 90,000 toys to more than 34,000 children. Prior to aligning with Toys for Tots, Gores supported similar gift-giving programs through other organizations. After supporting the programs as a “Secret Santa” for seven years, Gores agreed in 2013 to be identified in order to encourage others to join in with contributions of their own. Pistons mascot Hooper was at the event in his Santa suit and former Pistons forward Earl Cureton also lent a helping hand, helping recipients pick-out gifts and load bikes into cars and trucks. 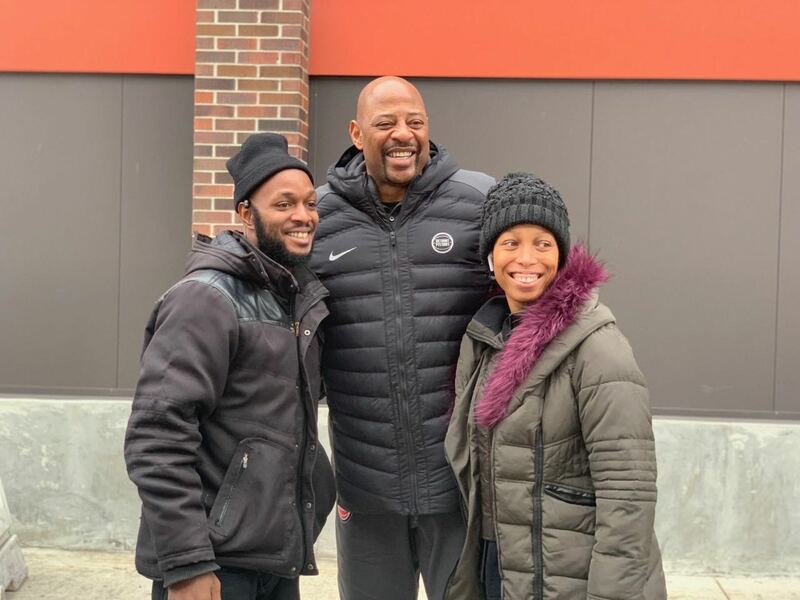 Cureton, who played for the Pistons from 1983-1986 and in the Detroit area at Finney High School on the city’s far east side and the University of Detroit, understands what it is like going up in the city in need of assistance when he was younger. Hundreds of Detroiters, who pre-registered through the Toy for Tots Program, lined up outside of the shed to receive toys, bikes, and other items for Christmas. Volunteers walked around with them and allowed them to put whatever they wanted into red sacks, much like Santa Claus would do.